What’s going on in the world of art? 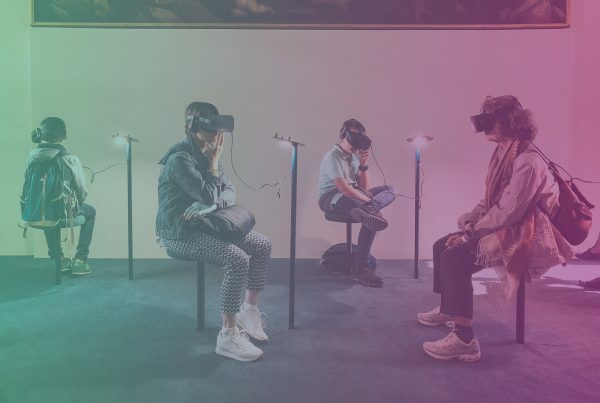 To stay in the know, you need to keep up with the art world’s movers and shakers, including artists, dealers, and curators. At one point in time, art might have been closed off — stuck in museums, or in the homes of the very wealthy. But thanks to Instagram and social media today, art is available for all. 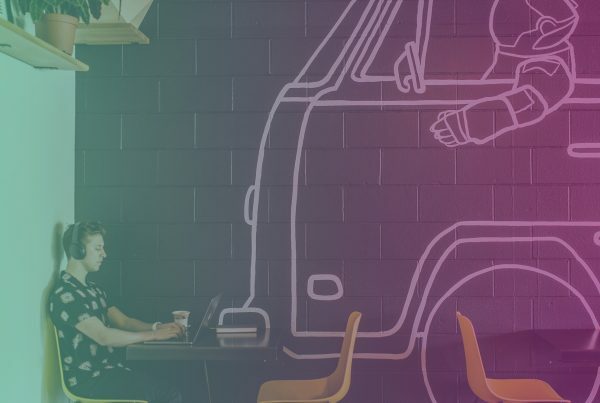 Get to know some of the top art influencers. JR is an anonymous French artist who describes himself as a “photograffeur.” He’s a street artist and top art influencer who creates large photographs, often of people, and posts them in public areas. He recently created a documentary, “Faces/Places,” with Agnes Varda, a film director known for her work during the French New Wave. 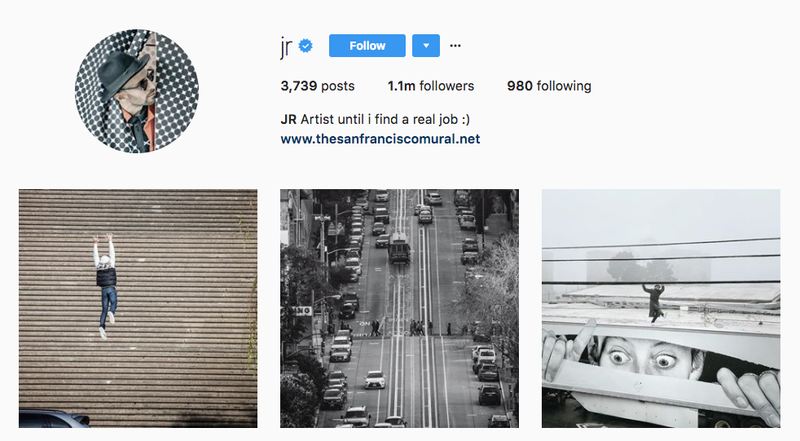 JR has 1.1 million followers on Instagram. For many, Banksy needs no introduction, even though no one knows who it actually is. Banksy is the top art influencer who influencers every other top art influencer. He’s the (in)famous street artist that creates stenciled pieces on public property. Usually, Banksy’s art makes some sort of social, environmental, or political statement. 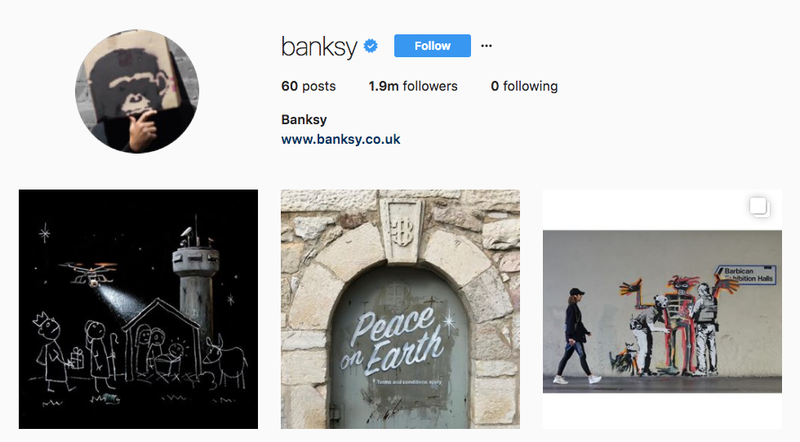 On Instagram, Banksy has 1.9 million followers. 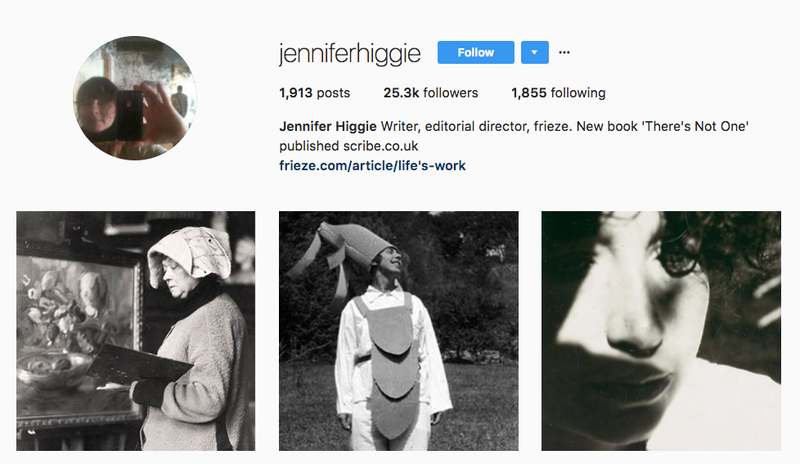 Jennifer Higgie is a top art influencer, writer, and art critic with 25,200 followers on Instagram. Her feed is like an exclusive art history lesson, as she posts work and bios of women artists, many of whom are lesser-known, or worse, forgotten. Adrian Cheng isn’t an artist or critic, but he’s certainly one of the top art influencers. He’s someone who sponsors and supports art, giving him a good deal of influence in the art world. He founded the K11 Art Foundation and the art mall in Hong Kong. He has 48,800 followers on Instagram. Olek is a performance and visual artist known for creating large works of art with yarn and other types of fiber. Often, the top art influencer completely covers or otherwise obscures existing structures with yarn. She has 57,800 Instagram followers. 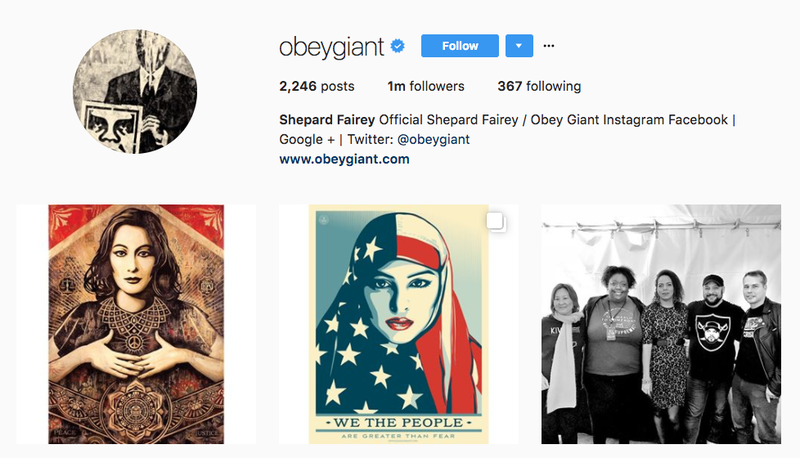 Street artist Shepard Fairey has one million Instagram followers. He’s one of the top art influencers and also probably one of the most well-known street artists working today. Some of his signature works include the “Hope” poster of Obama, and “OBEY,” featuring Andre the Giant. 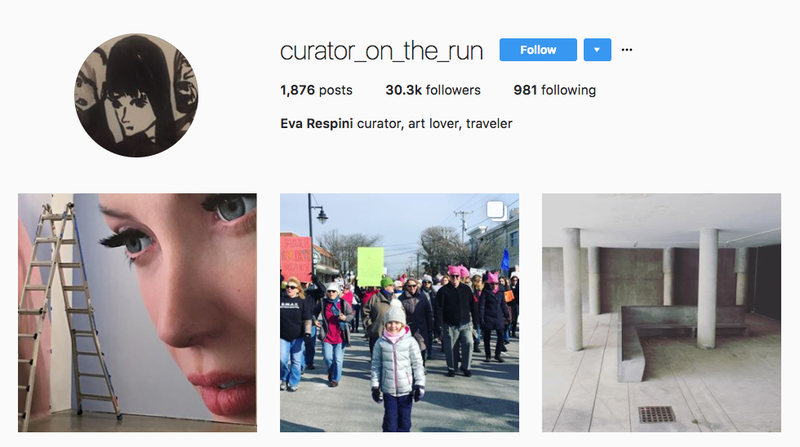 Eva Respini, the chief curator at the Institute of Contemporary Art in Boston and one of the top art influencers, has 30,200 followers. 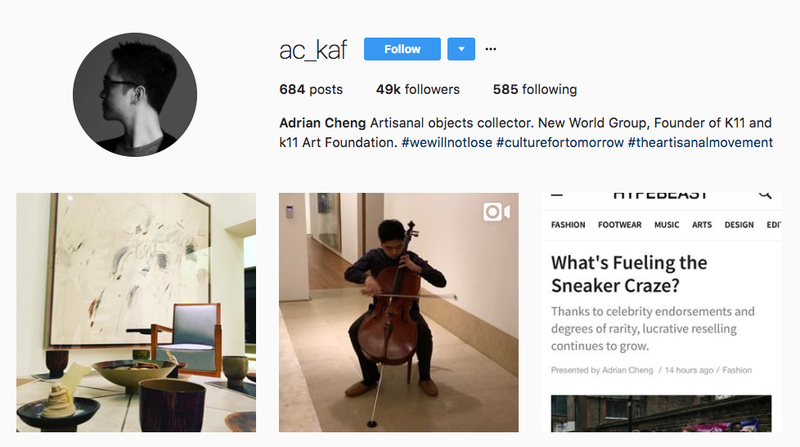 Like the ICA itself, her feed features a carefully curated selection of contemporary art and commentary on the modern world. 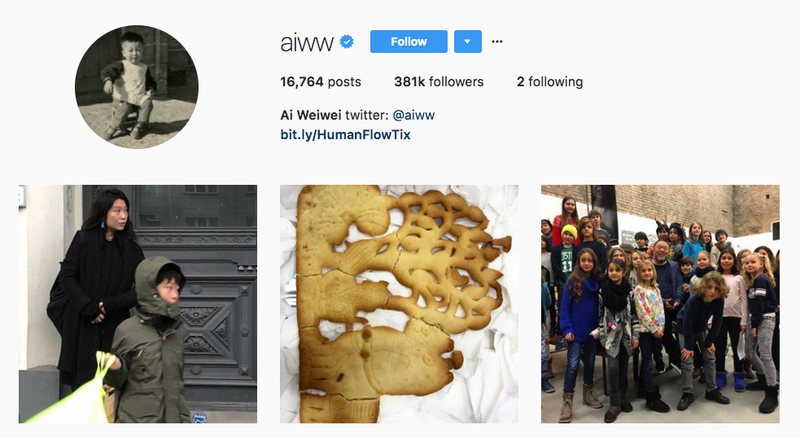 Ai Weiwei is a Chinese artist, activist and top art influencer. He’s known for speaking out against the current government, as well as for his documentary work. He has 379,000 followers in Instagram, and a feed full of selfies, other people’s art, and his own projects. 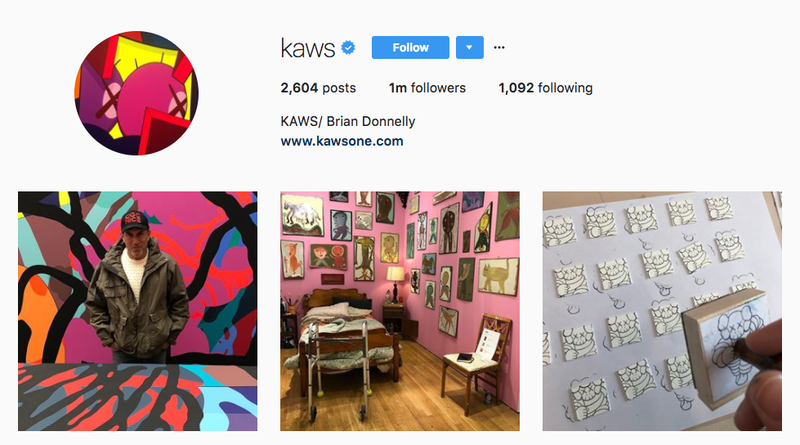 KAWS has one million followers on Instagram, and is a modern-day American pop artist. The top art influencer collaborates with the brand Uniqlo to create a line of clothing featuring Snoopy and the Peanuts gang. 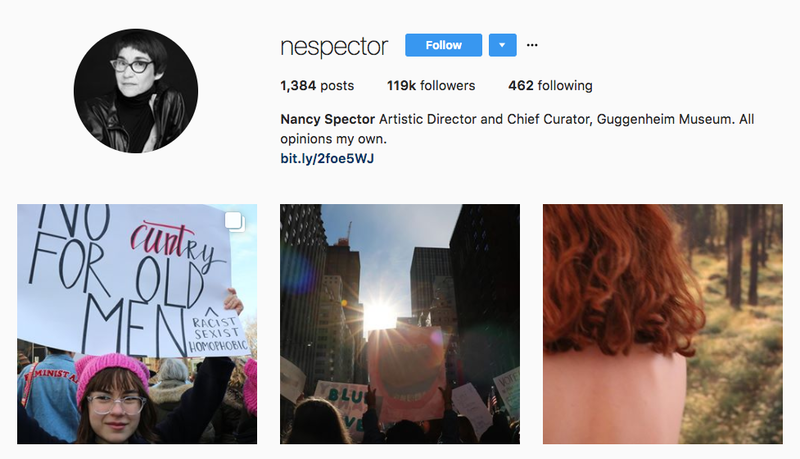 Nancy Spector has 119,000 Instagram followers and is the chief curator at the Guggenheim, so her influence on the art world is pretty strong. 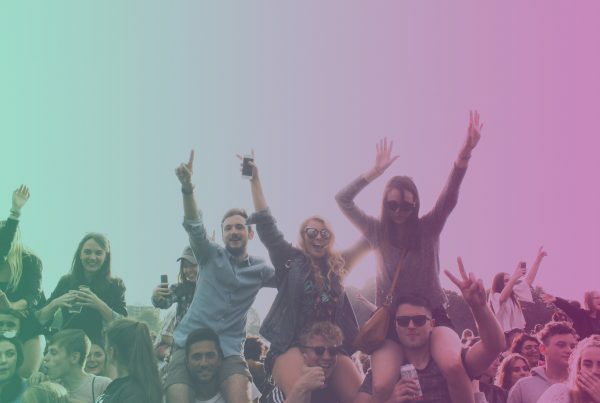 The top art influencer’s feed is full of art from artists you might not know. 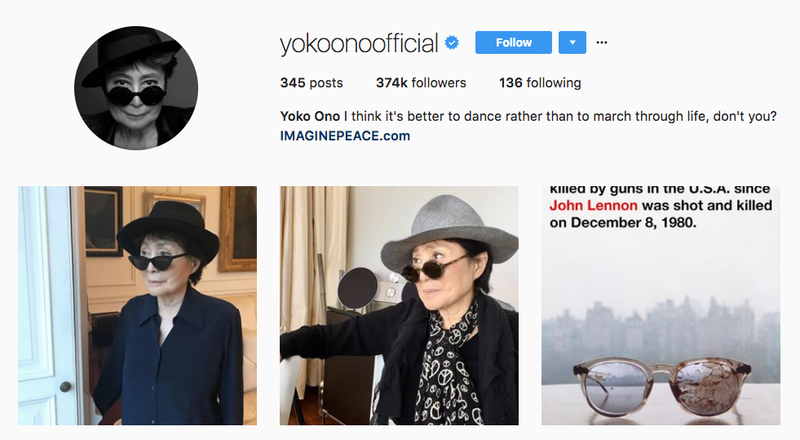 Before she got blamed for breaking up the Beatles, Yoko Ono was and remains a respected performance and visual artist, and a member of the Fluxus group. Today, she’s one of the top art influencers, counting 379,000 followers on Instagram, and a feed full of selfies, art, and short poems. 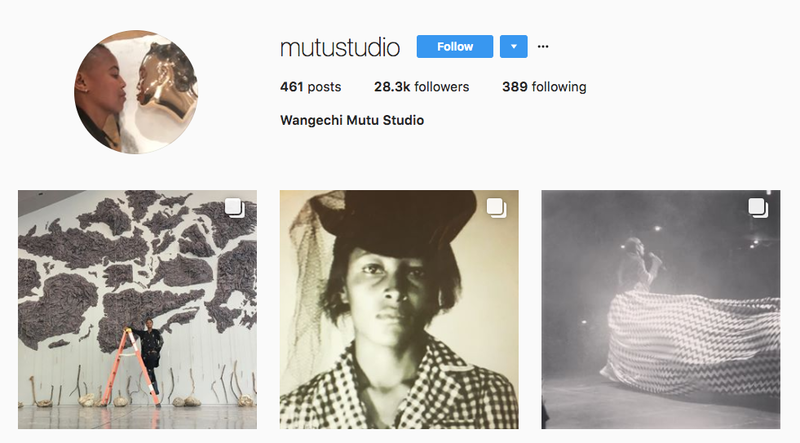 Kenya-born and Brooklyn-based artist Wangechi Mutu creates performance, video, sculptural, and other works of art. The top art influencer’s Instagram feed features work by her and others. She has 28,100 followers. 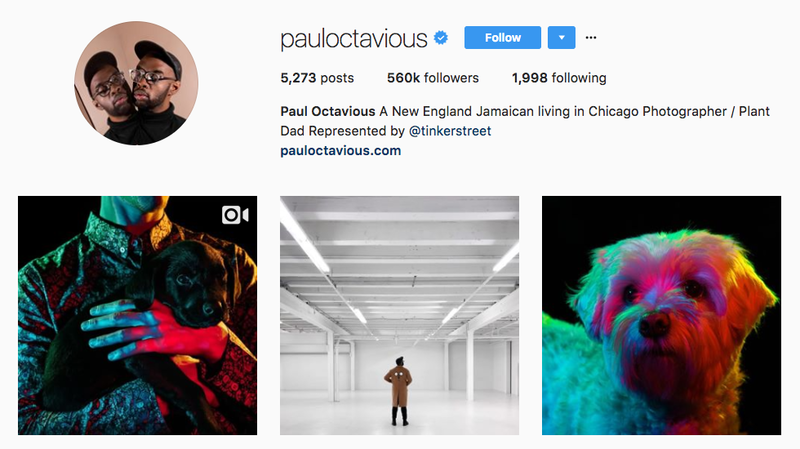 Paul Octavious is a top art influencer and photographer known for creating humorous, witty pieces. He has 561,000 followers on Instagram. 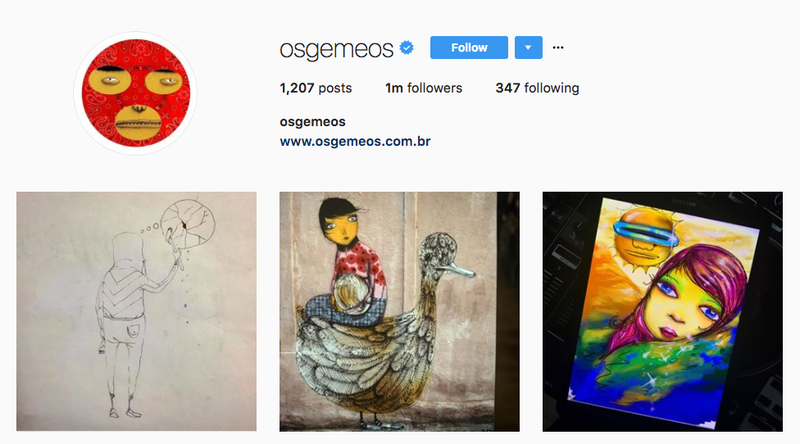 Os Gemeos is Portuguese for “twins,” so it’s shouldn’t surprise you that Os Gemeos is the work of two twin brothers (Otavio Pandolfo and Gustavo Pandolfo) from Sao Paulo. 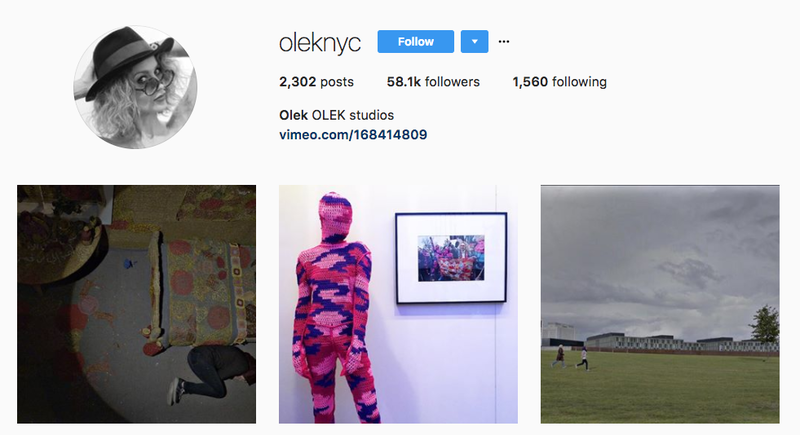 The pair of top art influencers have 1 million Instagram followers. 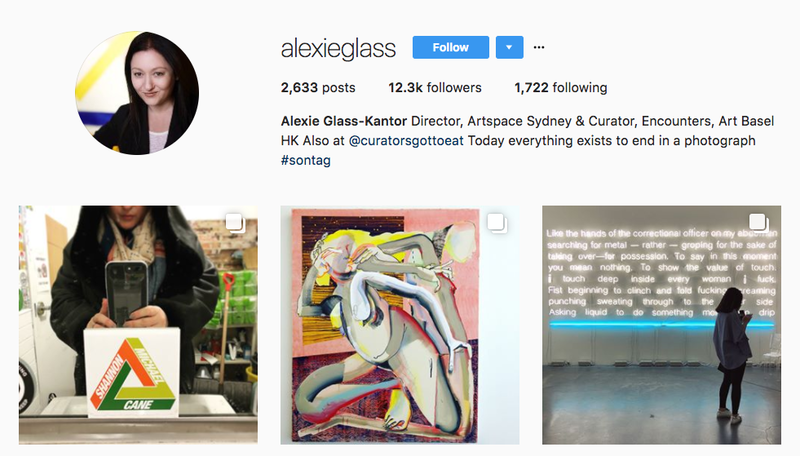 Alexie Glass is a curator and art director with 12,200 followers. The top art influencer’s feed is full of works by modern and contemporary artists. Andrea Rosen is the president of the Andrea Rosen Gallery in New York. She’s a top art influencer with 18,800 followers on Instagram, and a feed that is full of personal snaps of her life. 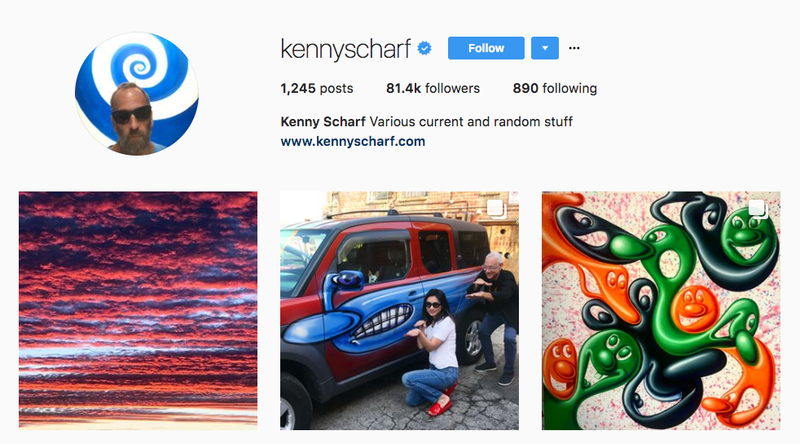 Painter and top art influencer Kenny Scharf has 81,300 Instagram followers, and a feed full of eye-catching, vibrant paintings. 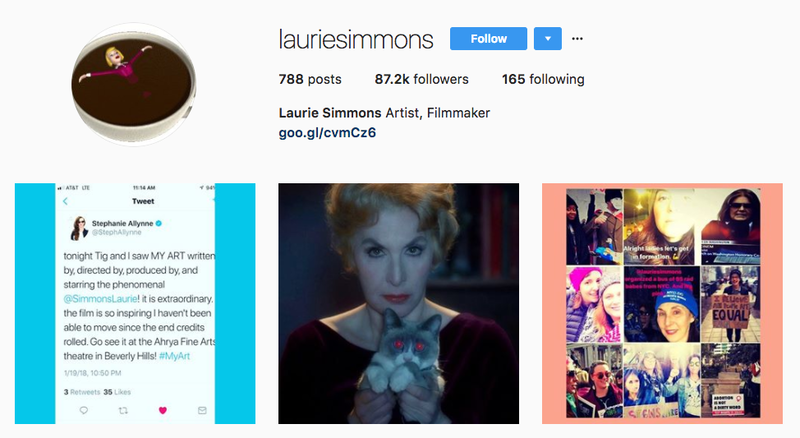 Laurie Simmons is a visual artist and filmmaker with 87,400 followers on Instagram. She’s one of the top art influencers and is known for creating feminist works featuring dolls and ventriloquists. These days, she might be best known for being Lena Dunham’s mom. 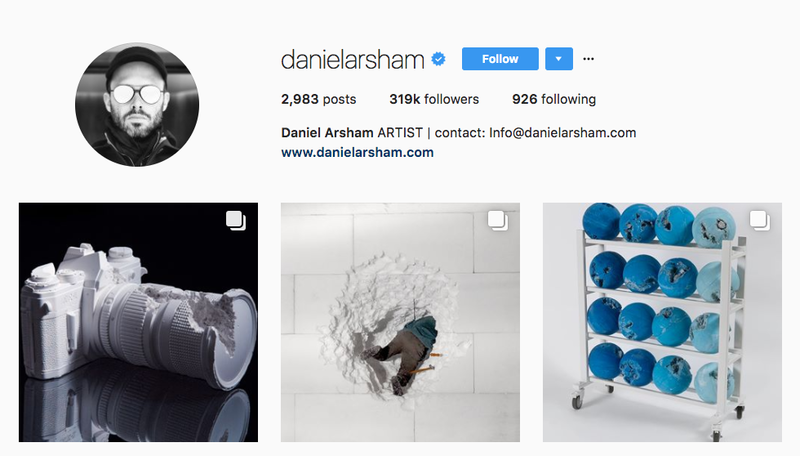 Artist and top art influencer Daniel Arsham has 318,000 Instagram followers. His work blurs the lines between sculpture and performance, and he’s worked with people such as Hedi Slimane and Merce Cunningham. 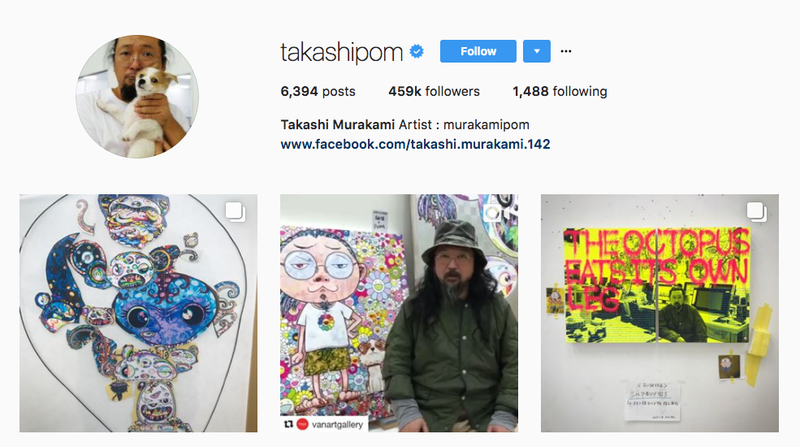 Japanese artist Takashi Murakami is known for his colorful works of art, and for his collabs with Louis Vuitton in the early 2000s. He’s one of the top art influencers and count 452,000 followers on Instagram. His feed features pictures of his work and, more importantly, his dog. 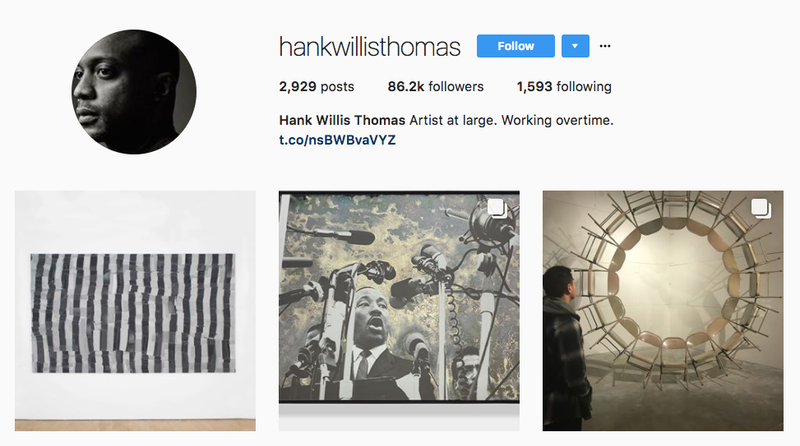 Hank Willis Thomas is a conceptual artist with 85,900 followers on Instagram. The top art influencer’s work and feed focus on issues of identity and race in the US. 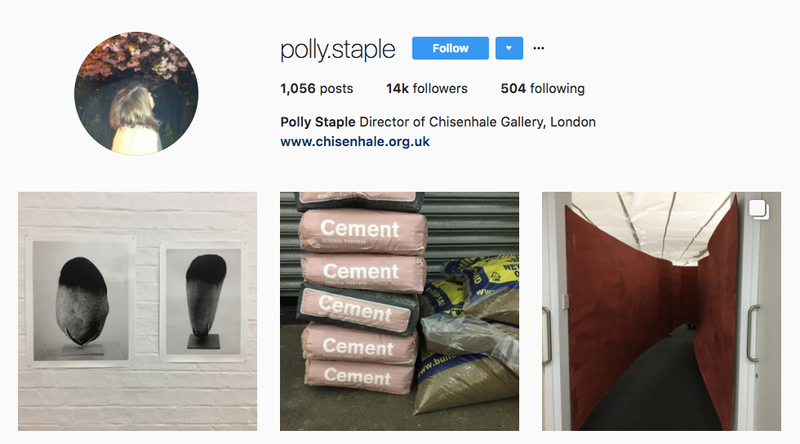 The director of the Chisenhale Gallery in London, Polly Staple has 13,900 followers. 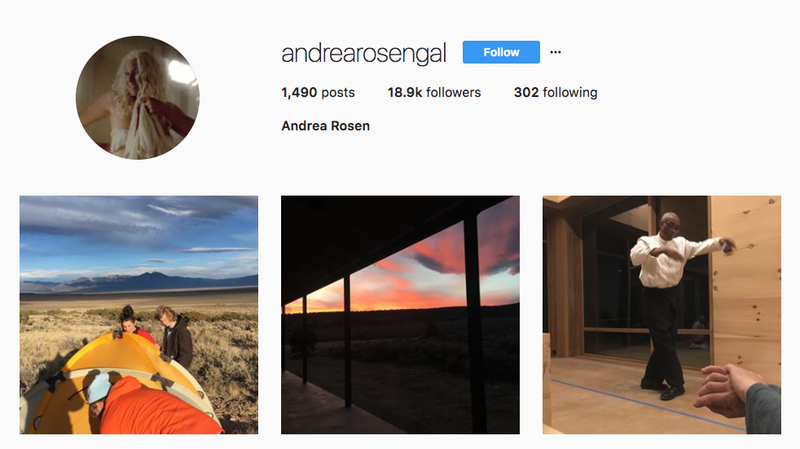 As one of the top art influencers, her feed gives followers an inside look at what’s going on and what’s to come at the gallery. 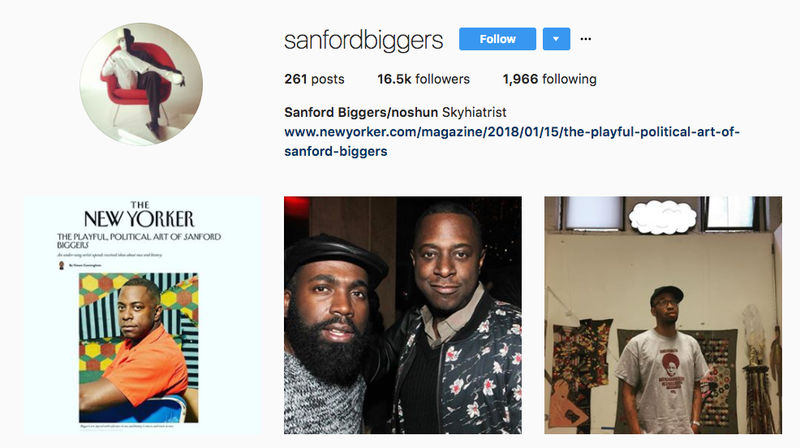 Interdisciplinary artist and top art influencer Sanford Biggers has 16,400 Instagram followers. He posts photos from his life and work. Gaia is a street artist and top art influencer from Baltimore with almost 80,000 Instagram followers. 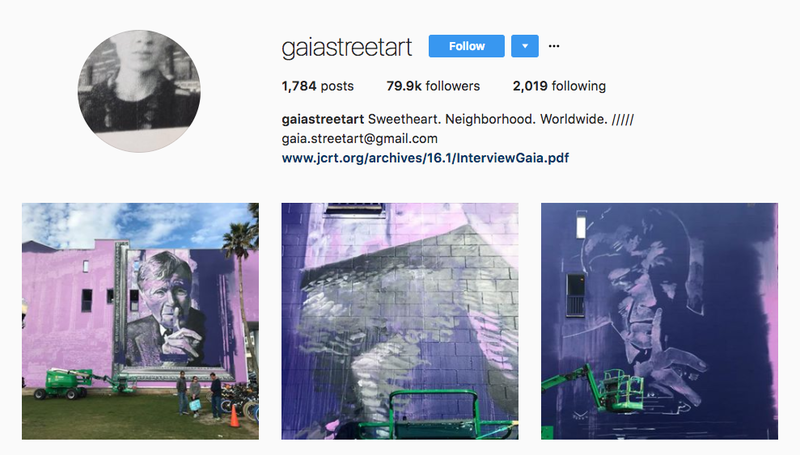 His feed is full of previews of works that will be displayed in the coming months at places such as the DC Botanical Garden, or examples of murals and works already on display. 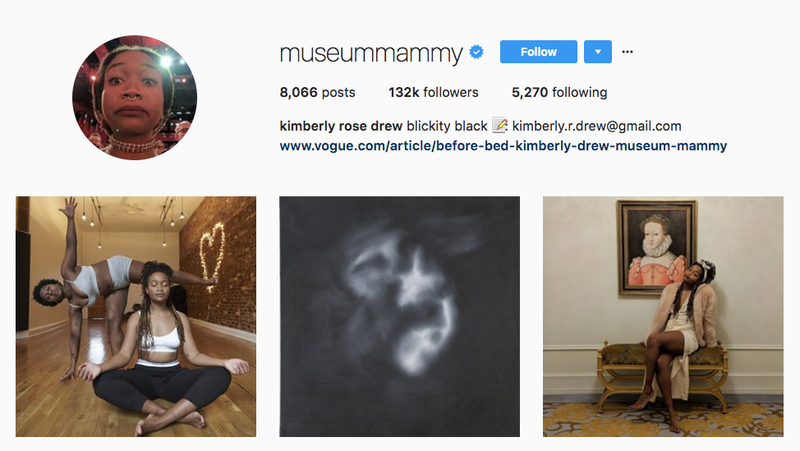 Kimberly Drew, aka “Museum Mammy,” has 131,000 followers on Instagram. She’s a curator and social media manager for the Met and one of the top art influencers out there. Her feed is a mix of self-promotion and photos of art.